Harold Evensky predicts that annuities and DIAs will become extraordinarily important over the next couple of decades. 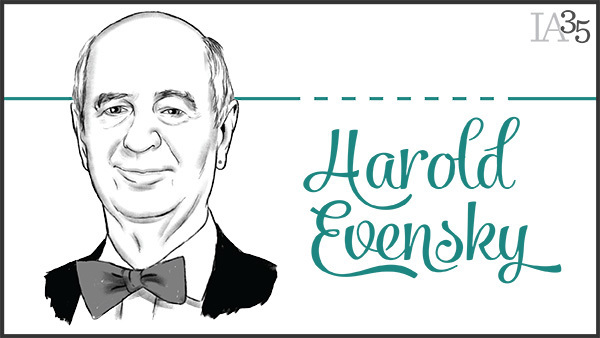 When Harold Evensky started in the financial planning business he was doing “yellow pad planning,” literally using a yellow pad of paper and a pen to map out clients’ financial plans, he told our sister site, ThinkAdvisor, and publication Investment Advisor in April. The industry was still young and along with limited options in technology, there were few advisors with planning expertise. Over time, Evensky said, the focus in the industry has shifted from comprehensive planning to asset and investment management, and he predicts that in the future, advisors will offer “modular comprehensive planning” that focuses on individual portions of a client’s portfolio, building a comprehensive plan as they go. For example, he said, when a client comes in, “Initially, our focus can be on designing a portfolio, investment policy statements and implementing. Just as the industry has grown from UPS drivers and French teachers to trained experts, technology and planning software have improved to allow advisors to provide a level of quality in their work that “wasn’t possible before,” Evensky said. “I believe, over the next couple of decades, simply to be competitive, we are going to have to significantly expand our value offering beyond simply portfolio management,” he said. As they expand their offerings, advisors will likely have to do it in a low return environment, Evensky said, which will affect everything from the impact of fees to how you plan for retirement.